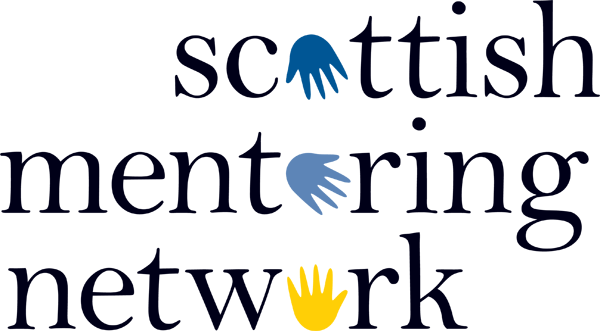 Scottish Mentoring Network (SMN) needs to gather and use certain information about individuals to enable us to carry out our core business. The individuals we gather information on include members, customers, suppliers, business contacts, employees, volunteers and other stakeholders. This notice outlines how this personal data will be collected, handled and stored to comply with our data protection standards and the Data Protection Act (1998) and the General Data Protection Regulation (2018). Scottish Mentoring Network is registered with the Information Commissioner’s Office as a Data Controller, Reference: Z9839716. We are committed to safeguarding your privacy and maintaining the security of your personal information. The purpose of this privacy notice is to explain to you what personal information we collect and how we may use it. To manage your membership and / or network participation. To manage your rights under our Memorandum and Articles of Association. To manage your access to our events, networks and communications. Forwarding details to specific third party partners / advisers / other members only when requested by you (e.g. in relation to our events, services, programmes, or requests for professional advice / support). Sending you information we believe may be of interest to you. Seeking information about you / your organisation / your views. We may use third party suppliers’ systems to process your data on our behalf (eg cloud based IT networks and CRM systems) on a fully confidential basis. We will not sell your data, share it with other third parties without your permission and we promise to keep it safe and secure. You have the right to object to this processing. If you wish to do so let us know at info@scottishmentoringnetwork.co.uk. SMN processes data for purposes 1, 2, 3, 4, 5, and 6 on the basis of legitimate interest. SMN processes data for purposes 7 and 8 the basis of explicit data subject consent. You can exercise these rights by contacting us at info@scottishmentoringnetwork.co.uk. Your personal information will be kept safe and secure. We will not transfer your personal details to any third party for the purpose of direct marketing. If you provided your details through our website then David Kelly Design Office, who hosts and maintains our website, will have access to your details on a fully confidential basis. We shall retain your information in accordance with the timelines outlined in the SMN Data Protection Policy. We may, from time to time, send you correspondence that contain links to and from other websites. If you follow a link to any of these other websites, please note that these websites have their own privacy policies and that we do not accept any responsibility or liability for these policies. Please check these policies before you submit any personal data to these websites. A cookie is a small file of letters and number that we may store on your browser or your internet enabled device. Cookies cannot be used to identify you personally. Session cookie – this type of cookie allows websites to link the actions of a user during a browser session so that the website is able to store certain information whilst the user is browsing the site. Third party cookies – these are cookies that are not set by SMN but are instead set by a third party. The third party cookies on the site are set by Google Analytics. Google Analytics sets cookies to help us accurately estimate the number of visitors to the Site and volumes of usage. This is to ensure that the service is available when you want it and fast. Most web browsers allow some control of most cookies through the browser settings. You can find more information about cookies at www.allaboutcookies.org and www.youronlinechoices.eu. If you have any questions, comments or requests regarding your personal information or are unhappy with how we handle your personal information you can contact us at info@scottishmentoringnetwork.co.uk or call 0141 559 5009.